In the U.S., roughly 1 out of 20 people will suffer from the effects of carpal tunnel syndrome. Physical therapy is one of the first lines of treatment, however it requires adherence outside appointments to ensure maximal effectiveness. This can often be difficult for patients who can't always remember to exercise or what they even are. We wanted to develop a solution that was comprehensive enough to be effective, yet simple enough to follow for everyone. That's how we developed myoPhysio. 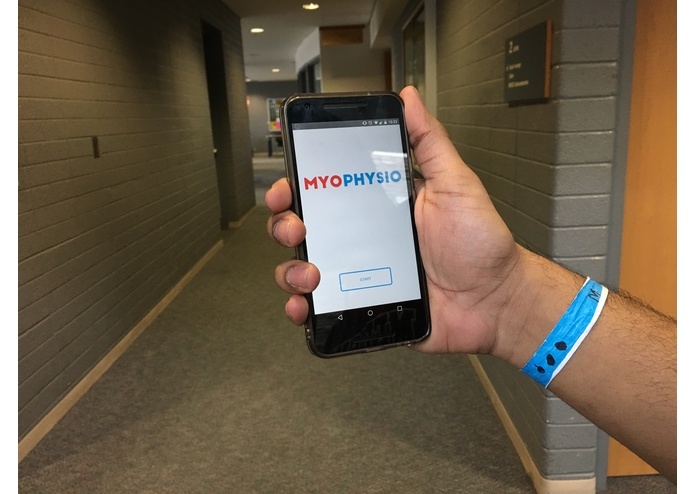 Using data from the Myo armband, myoPhysio monitors the position of the patients hand and guide them through various exercises. The android application counts down and ensures the user holds each position 5 seconds as sensed by the armband before moving onto the next exercise. The app also sends notifications to remind the user to exercise everyday. 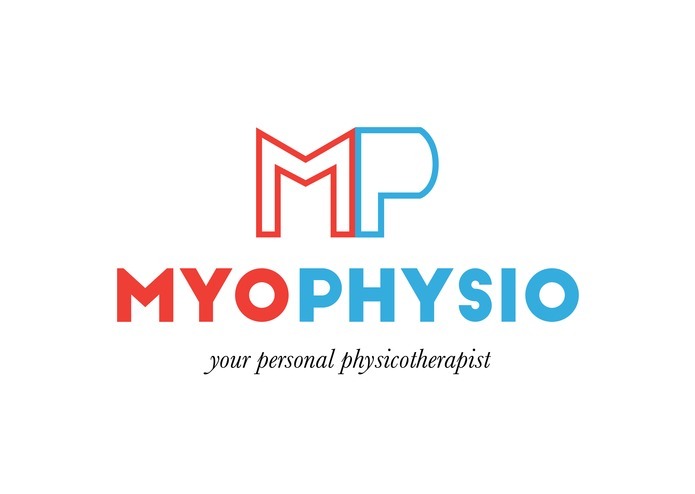 myoPhysio essentially gives patients the benefits of having a personal physiotherapist, since it only requires the armband and a smartphone. 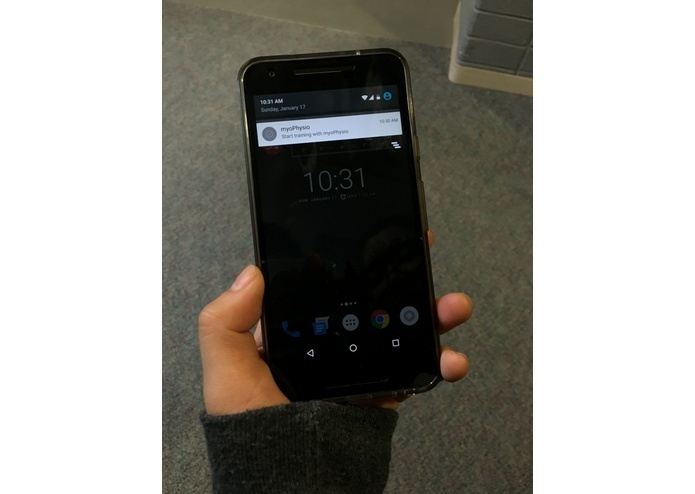 We built it in Java using Android Studio to create an android application, and the SDK provided by Myo to incorporate hand gestures and orientation data into the guided exercises. 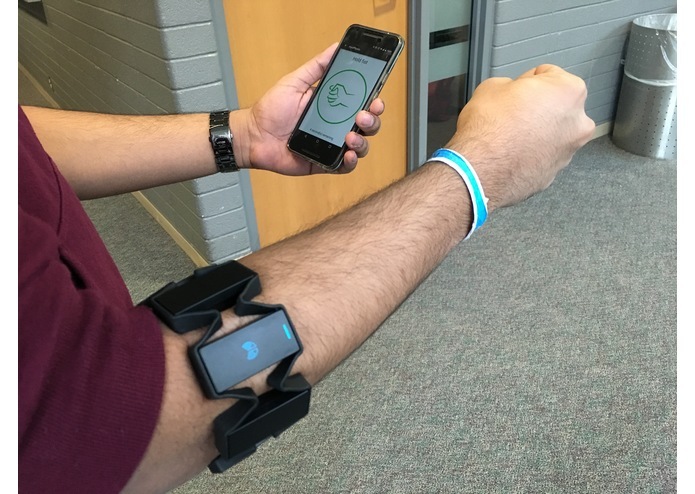 We ran into issues while trying to first sync the Myo armband as the SDK has a particular pairing process. There were also some issues with synchronization of the band and orientation detection. We're proud of our team for being able to develop a such a new concept in a very short period of time, and we are proud to be part of the effort to improve the quality of lives of many people. 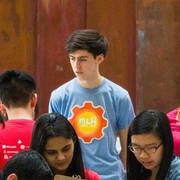 We learned how to use/program for the Myo armband, and develop a simple android application. We would like to expand the application to incorporate various exercises so as to ensure maximal treatment effectiveness. We would also like to use the various other sensors in the Myo to try to develop exercises for the shoulder as well. We would also like to refine the notification process, allowing users to customize the times of the day to exercise and number of times per day the user wishes to exercise.